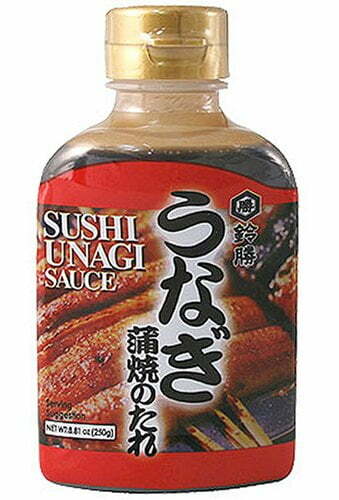 "What is Unagi sauce?Unagi sauce is a type of thick and sweetened sauce, based on soy sauces. It is used in different Japanese dishes that contains BBQed eel. It can be used when grilling eel, on top of an eel roll or nigiri. In sushi, it's usually served with such dishes as Unagi (eel) roll, and dragon roll, and can be served with other rolls as well." Mix ingredients together, and pour into a small pan. Put on low heat and simmer for a few minutes until sugar dissolves, while stirring with a wooden spoon. Once sugar is fully dissolved, let the sauce cool, and keep in fridge for use. It should be stored in the refrigerator when not in use, if that’s what you mean. I know of a friend that makes this Unagi sauce, she tried to explain to me how its been done but I could not get it so well. Reading about it here has really arouse my desire to learn. I’m going to try making it. Hey! This is where my search ends on how to prepare Unagi sauce. But must it be a wooden spoon? For the stirring.. Just curios. Thanks!